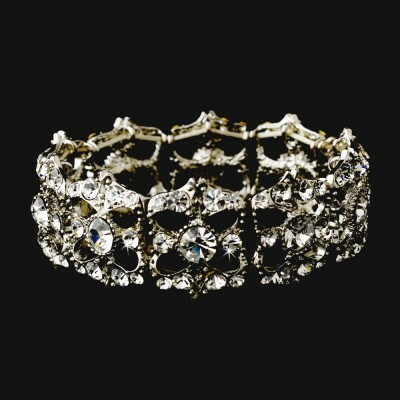 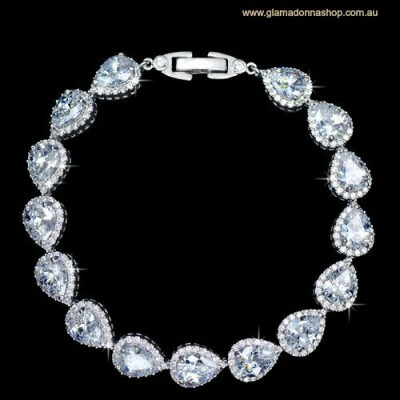 This a stunning and uniquely designed bridal or special occasion bracelet, with a contemporary feel. 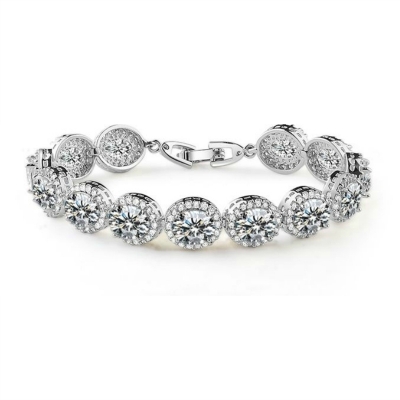 The bracelet features a clustered arrangement of mixed size oval-shaped AAA-Grade cubic zirconia stones, which extends all the way around the wrist. 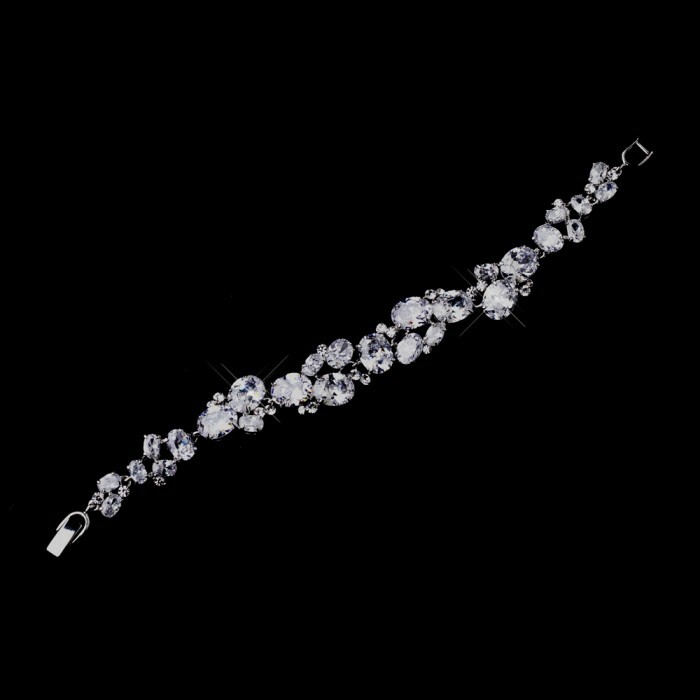 The clustering is wider in the middle and tapers off slightly to each end. This wedding bracelet will provide a beautiful compliment to wedding day looks or any dressy occasion. 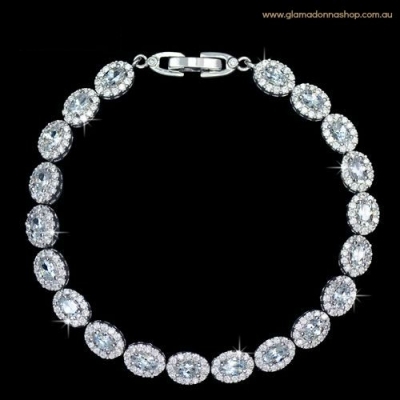 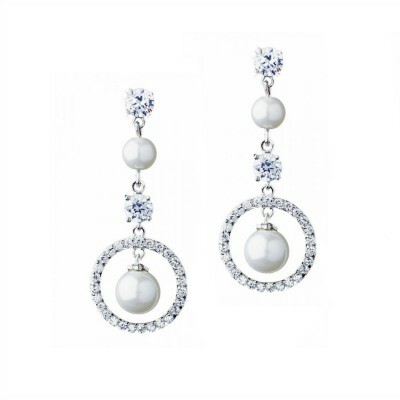 Heavily plated in white-gold derived Rhodium to resist tarnishing and last for many years to come.